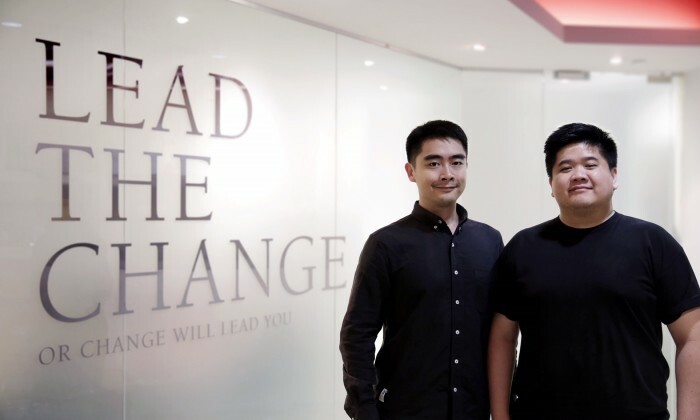 Publicis Singapore has appointed Fajar Kurnia (pictured left) and Jeremy Chia (pictured right) as its executive creative directors. The roles were previously held by Troy Lim and Jon Loke. Prior to the appointment, Kurnia and Chia were regional creative directors at Saatchi & Saatchi Singapore, and have been partners for almost a decade. According to Publicis Singapore, they have worked on a diverse range of brands at agencies in Singapore, Thailand and Indonesia. During their tenure in Saatchi & Saatchi Singapore, they oversaw creative work on brands such as Agoda, FWD Insurance and P&G Head & Shoulders across ASEAN and Greater China. Other previous and current accounts include Yahoo!, DBS, Singtel, Direct Asia Insurance, the Heath Promotion Board, various Unilever brands, Heineken and Mercedes Benz. The appointments are effective 1 June 2017 and will see the duo reporting to Lou dela Pena, CEO of Publicis Communications Singapore. “Great work takes guts. It’s often uncertain and you’ve got nothing to compare it to. It’s scary stuff, but striving towards that is what keeps all of us going. That to me is the very definition of leading the change, and I’m looking forward to being a part of an agency that embraces that philosophy,” said Kurnia. “Publicis is full of insanely talented individuals, so the bar has been set pretty high. This is down to their culture of embracing change and ultimately championing it for their clients. This is a quality I have great admiration for and hope to further foster in my time here,” said Chia. Meanwhile, outgoing ECDs Lim and Loke joined Publicis Singapore in December 2015 from Ogilvy & Mather Singapore, where they were joint creative leads for major clients. These clients include BMW, KFC, Ministry of Culture, Community & Youth, National Environment Agency, Singapore Sports Council, Health Promotion Board, Kimberly-Clarke and GlaxoSmithKline. They were also behind Singapore renowned anti-smoking campaign “I QUIT” for Health Promotion Board. “Lim and Loke have built up a great creative team. They have pushed us all to develop work that set a new standard for excellence. I wish them all the best in their next roles, and thank them for their contributions to the agency,” dela Pena said. Facing mounting competitive pressure in the industry, Apple plans to open a new research and development facility in the world’s s..